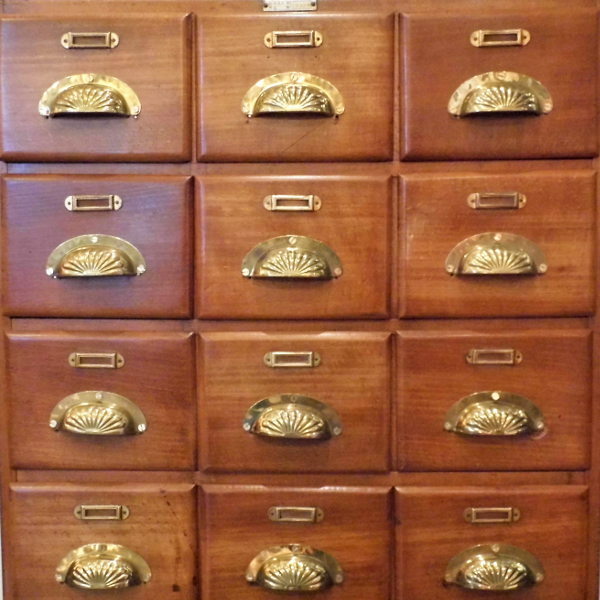 A 1950s Vintage Bank of Drawers. 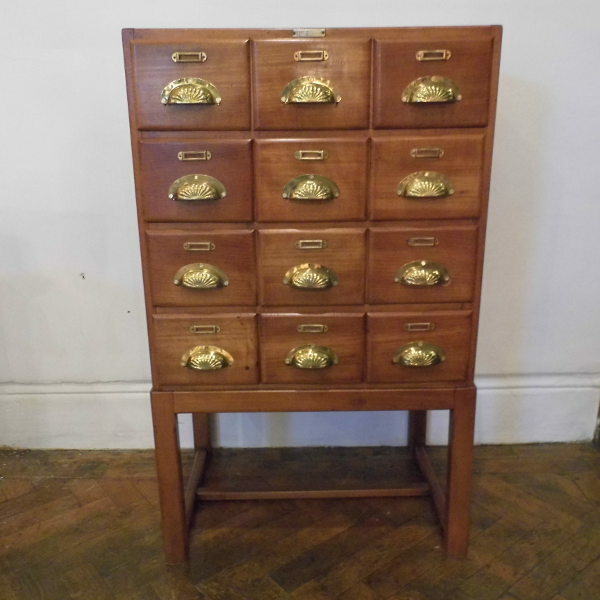 French Bank of twelve beech drawers with brass shell handles and name plates. The body is veneered in oak with a brown leather top. This Bank of drawers are very cute and quite compact. They have had plenty of wear and tear commensurate with their age, but still look great and function well. 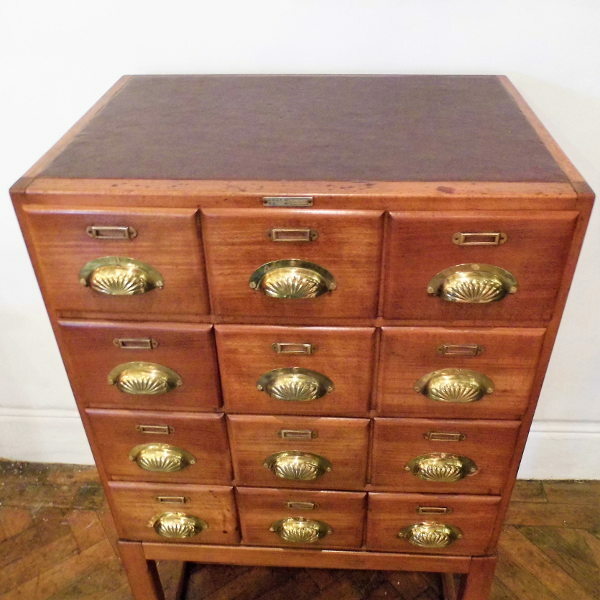 This bank measure 100 cm high by 60 cm wide by 42cm deep with 19 cm wide by 14 cm high drawers.